Build Your Own React Router v4 — A great way to understand something is to try and build your own version of it, and so it goes here with creating a simplified version of React Router v4. How to Build React Apps That Use WordPress's REST API — WordPress continues to be hugely popular and it now comes with a REST API which makes it easier to build alternative interfaces to it. Learn to develop your next web or mobile application with ReactJS. — Register for Rangle’s free React online course for developers on March 31. 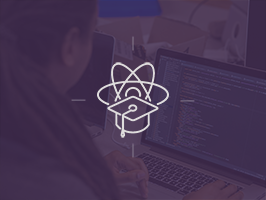 The second of a three-part series, this course is designed for developers interested in diving into the React library. Routing in React, The Uncomplicated Way — What happens if you don’t use React Router and go with your own app-specific tailor-made approach? This. An Intro to Functional Reactive Programming (FRP) with React — redux-cycles is a Redux middleware that helps you handle side effects in your React apps in a functional-reactive way. Unsure what this means exactly? It’s all covered here. How to Build A SEO-Friendly React Blog with an API-Based CMS — Using React, Next.js, and ButterCMS. Best Practices for Testing React Components — A handful of quick Jest+Enzyme practices (that could also be applied to Mocha+Chai). react-page-layout: Create Shareable Common Layouts — Create configurable layouts that can be shared between different pages/routes.